GrayPointe Capital (GPC) is a commercial real estate investment and advisory firm, specializing in the acquisition, capital sourcing, leasing, and repositioning of commercial real estate. Our success, and that of our clients, stands firmly on a foundation of good relationships. We provide our partners and investors with an accessible team that has a reputation for creativity, performance and integrity in all that we do. At GPC, we realize that market fluctuations present opportunity, and that proficiency and hard work make all the difference. Through active, hands-on principal oversight, we focus on optimizing the performance of every asset while mitigating the risks associated with owning real estate. Our company focus is to build and preserve a reputation for integrity, professionalism and value in dealing with our investors, owners, partners and associates. We leverage our 30-year network with investment and leasing brokers, company executives, government officials, family offices, property owners, banks and lenders to attain results for our clients. Simple and straightforward investment structures ensure a positive experience for investors. While the analysis and execution of profitable real estate investments is complex, determining how you participate shouldn’t be. Investing alongside our shareholders ensures every opportunity is explored and every decision is made with the best interests of our partners in mind. Throughout his twenty eight years in Central Florida, Jim has developed an extensive network within the real estate, banking and business community. Prior to forming GPC, Jim spent 12 years with Parkway Properties, a publicly traded REIT specializing in the ownership and operation of high-quality office buildings in 13 cities throughout nine Sunbelt states. As Director of National Accounts, Jim was responsible for maintaining positive relationships with Parkway’s largest tenants across multiple markets. Jim joined the Parkway Properties team through the acquisition of Eola Capital, a privately held real estate investment and operating company based in Orlando. While at Eola, Jim coordinated activities with private investors, including raising and managing three equity funds totaling $40 million for specific real estate acquisitions. He was also responsible for Orlando office leasing. Prior to joining Eola Capital in 2004, Jim spent 17 years with First Union/Wachovia Bank managing their real estate, wealth management and commercial lending efforts in Central Florida. 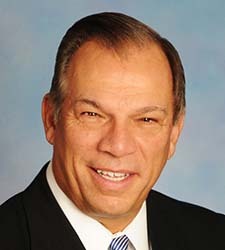 Jim has been a resident of Orlando since 1988 and in June 2012, was elected to the Orlando City Commission and continues to represent District 1 in southeastern Orlando. He is a veteran of the U.S. Air Force and earned his B.A. in Finance from the University of Houston in 1982. 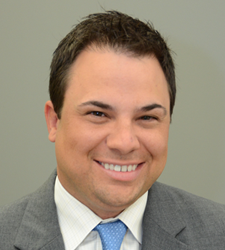 Prior to joining GrayPointe Capital, Jeff spent 10 years in Commercial Real Estate lending with Key Bank and Wells Fargo throughout the state of Florida. During his time at Wells Fargo, he was responsible for originating and managing over $250MM of balance sheet and structured debt products across a variety of real estate asset classes. Jeff holds a Bachelor of Science degree in Finance and Real Estate from Florida State University. He is an active member of the International Council of Shopping Centers (ICSC), National Association of Industrial and Office Properties (NAIOP) and Urban Land Institute (ULI). Jeff holds an active real estate license in the State of Florida. He resides in Orlando with his wife, Melissa, and daughter, Emma.